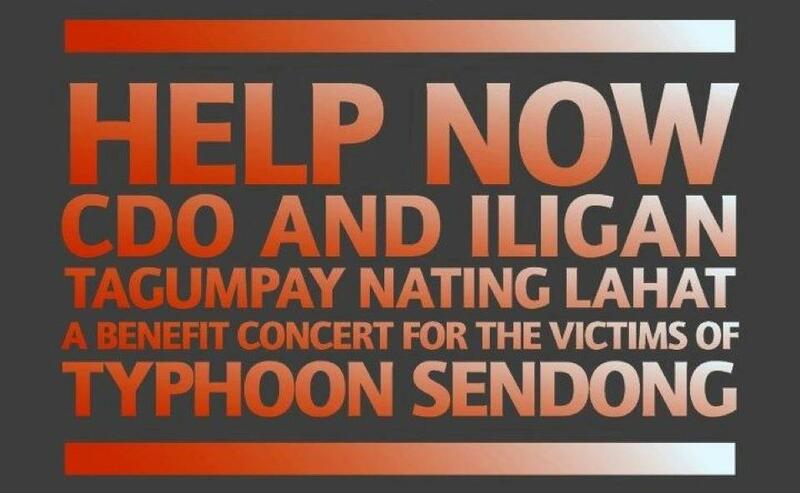 The Filipino Community groups and individuals here in the UK are putting a concert together to help raise some funds for the victims of Typhoon Sendong, internationally called Washi. It was one of the most fatal tropical storms to hit the Philippines in the past 12 years. It has caused almost triple the amount of deaths than Typhoon Ondoy in 2009. There are now over 1,200 deaths and many people affected by Sendong have lost their homes and personal belongings. We know its a difficult time for all of us, in the UK we are bracing ourselves for further economic problems and job losses, however, we are all still better off than those in Cagayan De Oro and Iligan. It would be greatly appreciated, if you could spare some time and money to attend the concert. Details on how you can book the tickets are below. Tickets to HELP NOW CDO & ILIGAN – a charity concert in London for the victims of Typhoon Sendong in the Philippines – are now available for sale. To book, please text or call Mr Peps Villanueva on 07760874138; or email at pepsville@hotmail.com; or via FB message. Showcasing some of the best Filipino talents in the UK, it will be a great night of entertainment..
VSO, Voluntary Service Overseas, is the world’s leading independent international development organisation that works through volunteers to fight poverty in developing countries. VSO volunteers from Davao have been helping to repack relief goods meant for 1500 families of Bgy Hinaplanon, Iligan City and other communities in Lanao del Norte. Some of these goods have been donated by Alaska, Monde Nissin, Amesco and the British Embassy among other donors.